KIEV, Ukraine -- Ukraine is moving closer to finally agreeing a key first step towards joining the European Union, sparking concern from Russia that Kiev is decisively shifting away from the Kremlin, analysts said. There are mounting signs that Kiev will finally ink an Association Agreement with the European Union at a summit in November, in a historic first step for the ex-Soviet republic towards joining the bloc, analysts said. "The train is moving. There is a 90 percent probability that Ukraine will sign an Association Agreement with the European Union in November," said Oleg Ustenko, executive director of the Blazer International Fund in Kiev. A key obstacle on the Ukraine's path to the EU remains the imprisonment of the ex-prime minister Yulia Tymoshenko, who was sentenced in October 2011 to seven years in jail on abuse of power charges. But analysts said the probability of Kiev signing the much-delayed agreement increased after a crunch visit by Russian President Vladimir Putin to Ukraine in late July aimed at pressuring Kiev ended without result. No announcement was forthcoming about Ukraine's possible membership in the Customs Union of Russia, Belarus and Kazakhstan which is seen as a plan by Putin to revive the links of the ex-USSR. In an apparent warning shot to Kiev, Moscow promptly banned imports of a popular Ukrainian chocolate brand. "Putin is becoming accustomed to the idea that Ukraine will sign an Association Agreement with the EU, and will not enter the Customs Union as a full member," said Vadym Karasev, head of the Ukrainian Institute of Global Strategies. The Association Agreement between Kiev and the European Union would likely include a free trade deal which would bury forever any prospect of Ukraine joining Putin's Customs Union. Likewise, EU officials have stated clearly that a move by Kiev towards the Customs Union would contradict its ambition of joining the European Union. According to the head of the Centre for Political Studies "Penta", Volodymyr Fesenko, the Kremlin wants to provoke a debate in Ukraine as European integration is one thing the ruling Regions Party and main opposition agree on. During his visit to Kiev, Putin lavished a mere 15 minutes on a meeting with Ukrainian President Viktor Yanukovych but made a surprise appearance at a conference which was organised by pro-Kremlin Ukraine politician Viktor Medvedchuk. Medvedchuk, the head of administration under former president Leonid Kuchma, is seen by analysts as Moscow's favoured candidate for presidential elections in 2015. "Putin understood that in Ukraine there is no debate over a civilised choice: the absolute majority of the elite, except the Communists, lean in favour of European integration," Fesenko said. With political tensions in Ukraine running high, a hitherto obscure political think tank linked to Medvedchuk produced a study arguing that the Association Agreement was against Ukrainian law. However the suggestion was rubbished by the government. "Any objections that the agreement does not correspond to current law are without basis and senseless," said Justice Minister Olena Lukash. The day after Putin's visit to Ukraine saw the announcement that Russia had banned the import of the popular Ukrainian Roshen chocolate brand owned by former minister Petro Poroshenko. Fesenko said that while there was not yet signs of a trade war brewing,the main motivation of this ban is political. "It is a tool of political and economic pressure on Ukraine. It is a demonstrative punishment, a demonstrative flogging of Ukrainian oligarchs who support European integration, a signal for the rest of the businessmen that the same thing could happen with them." Analysts said if Tymoshenko is sent abroad to treat her health problem -- an option mooted in talks between Ukraine and Germany -- it would directly open the way to sign the agreement with EU. "If this happens in the next two months then likely the agreement will be signed," said Fesenko. "If it does not happen, it will be a headache for EU politicians as not signing would represent the failure of its Eastern Partnership," he added. 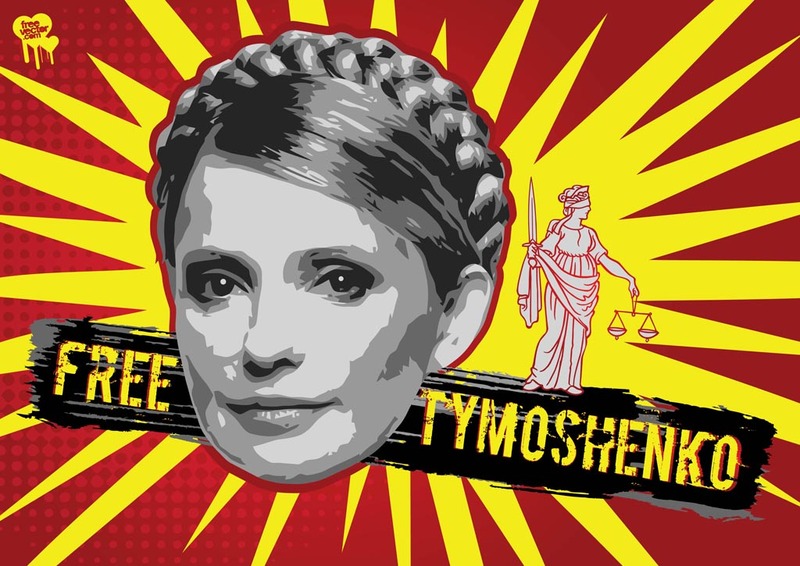 Tymoshenko has insisted her imprisonment was ordered by Yanukovych in a bid to eliminate a dangerous opponent from political life ahead of 2015 presidential polls.